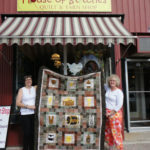 I am a quilter/designer based in Stittsville, Ontario, Canada who started sewing as a young teenager. 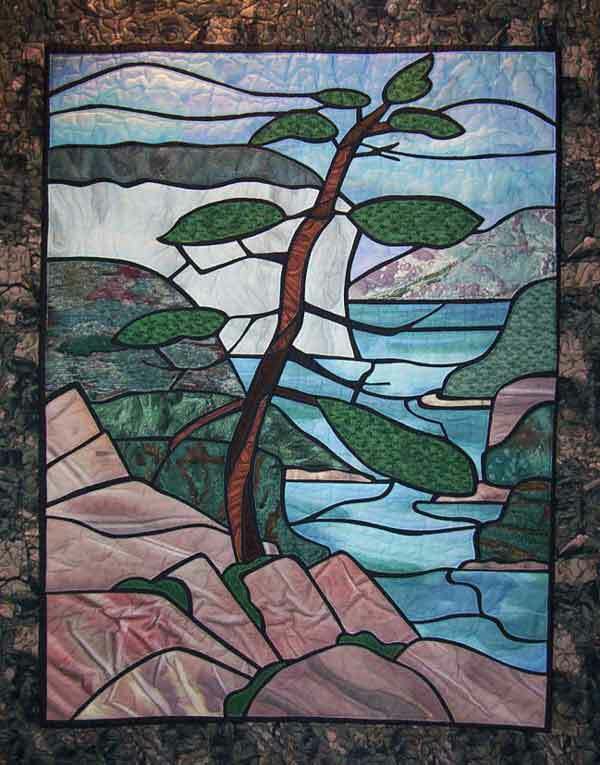 My love of textiles and desire to create led me to quilting. I enjoy all the steps from concept through design and production of quilts. At each step in the process, decisions about fabric and thread, colour and texture influence the final piece. I love to play with different quilting techniques from traditional pieced quilts, to folk art and mixed media, and am always trying out new things. I have spent many summers visiting many breathtaking regions in Ontario, seeing them by car, on foot and by canoe. I try to capture the beauty and spirit of these places in my designs. I am also an avid gardener, and enjoy celebrating the flora around me in quilts. My first job as a teenager was working as an arts and crafts instructor at a summer camp for children. I got to have as much fun as the campers did! I have always loved playing with all sorts of different media and continue to incorporate lots of different techniques when I work on a project. As much fun as I have playing with fabric, paint, glue, do dads and anything lying around; I love to share my experience even more, through teaching and the production of patterns. Many of the patterns came out of designs for classes and most of them are made for beginner to intermediate quilters. They also make a great base on which to explore embellishment techniques. I hope you enjoy the quilts and projects as much as I enjoy creating them!